The flower packets recommended that we start the seeds inside first & once they sprout to transport them outside, so that is what we will do. Both of us are anxious for our flowers to sprout, but we know that it will take some time. 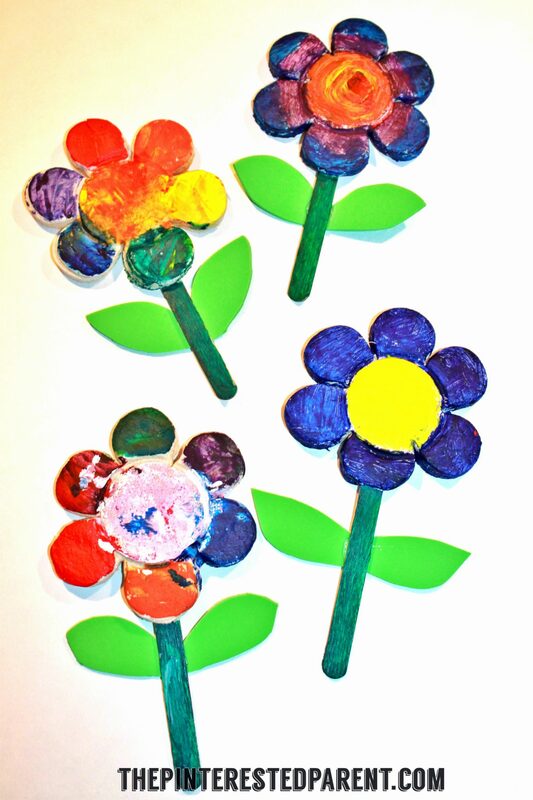 While we wait, we felt inspired to make some flowers that we can enjoy right now. 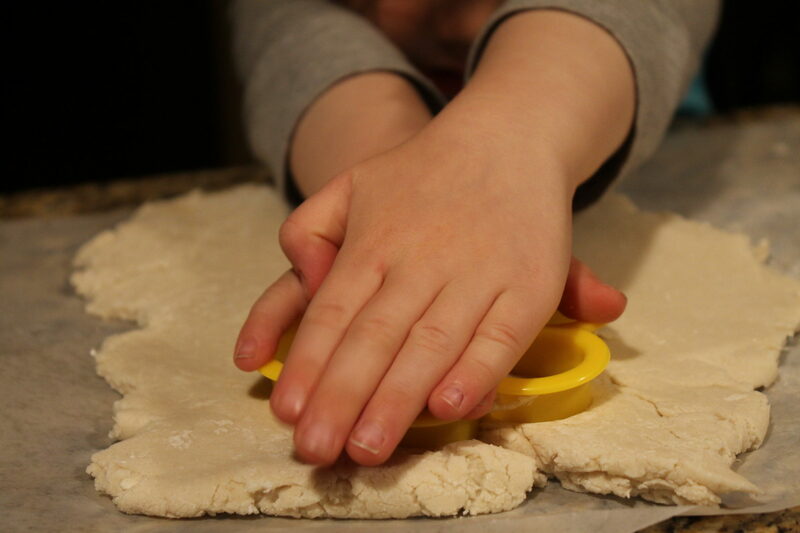 As you know, my little is a big fan of salt dough projects of any kind, so that is what we made our flowers out of. 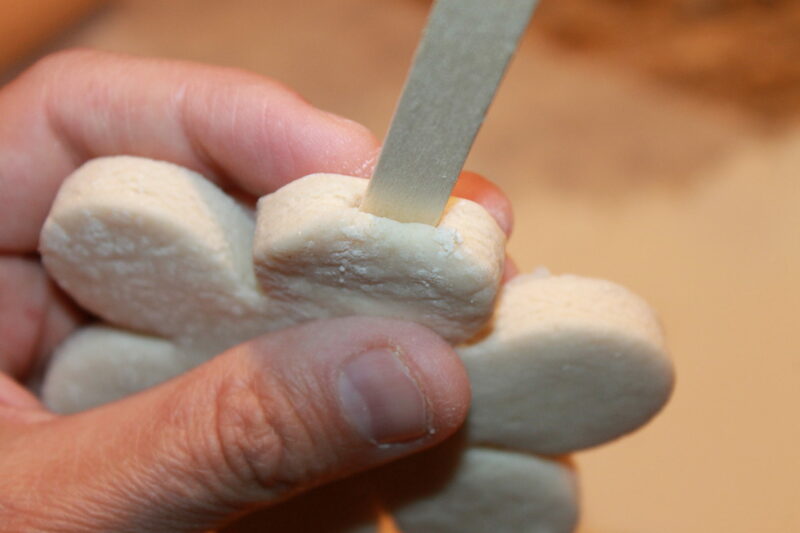 We started with a simple salt dough clay recipe. 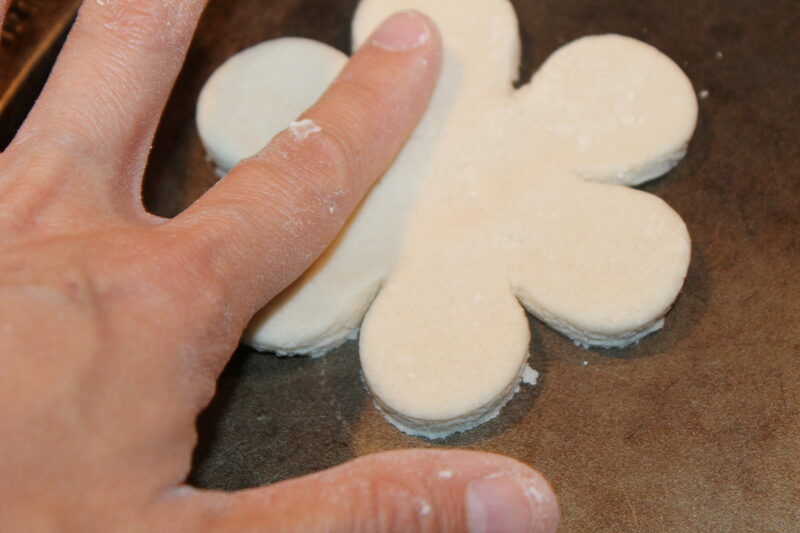 We rolled out our dough & used a flower cookie cutter to press out our shapes. We pressed lightly on our flowers to spread them out a bit to make our surface area larger. 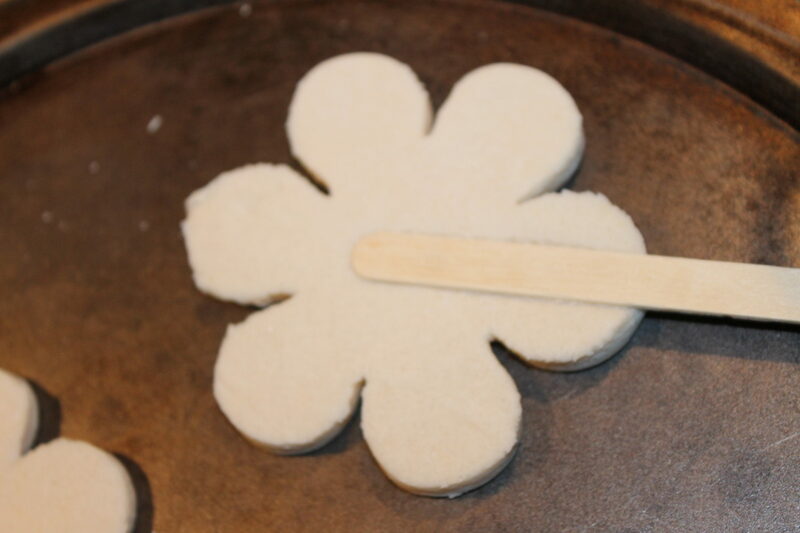 We put our flower shapes on an ungreased cookie sheet. 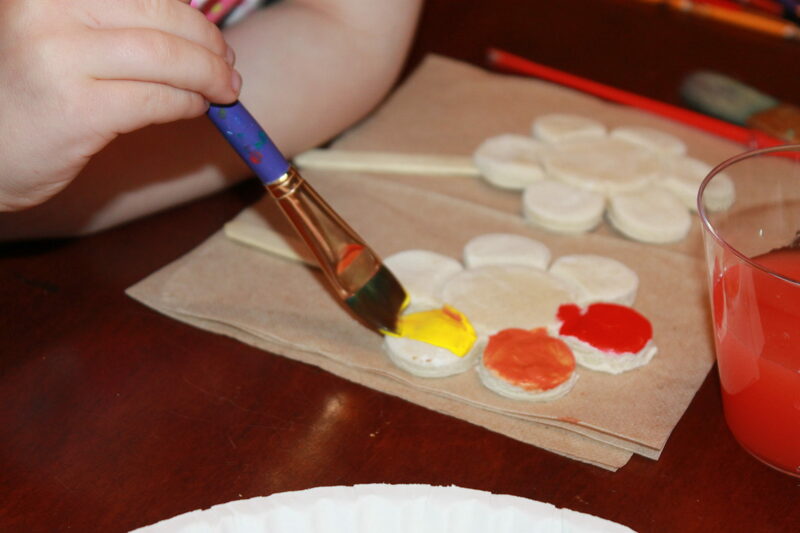 We pressed a Popsicle stick into the back of each flower. 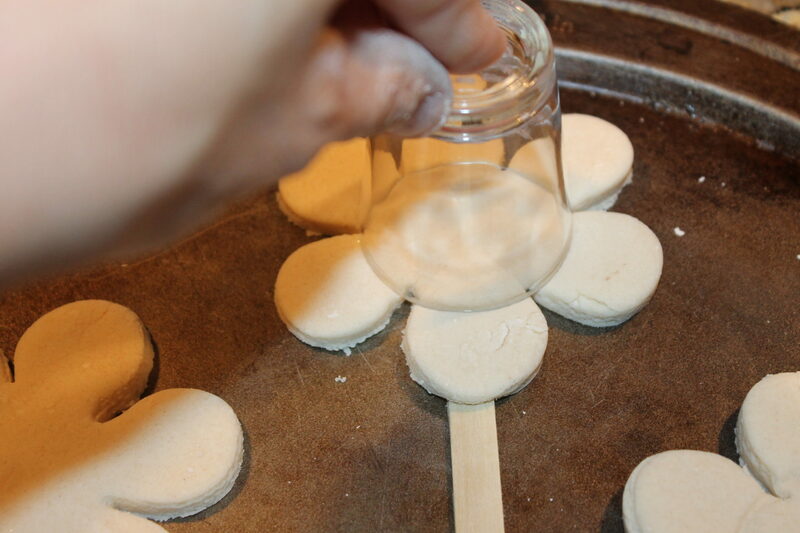 You may also insert a stick right into the middle of one of the petals to be able to utilize both sides of the flower. We pressed a shot glass into the center of the flower to make an outline to make the petals more distinct. We baked our flowers for about 2 hours at 250 degrees. 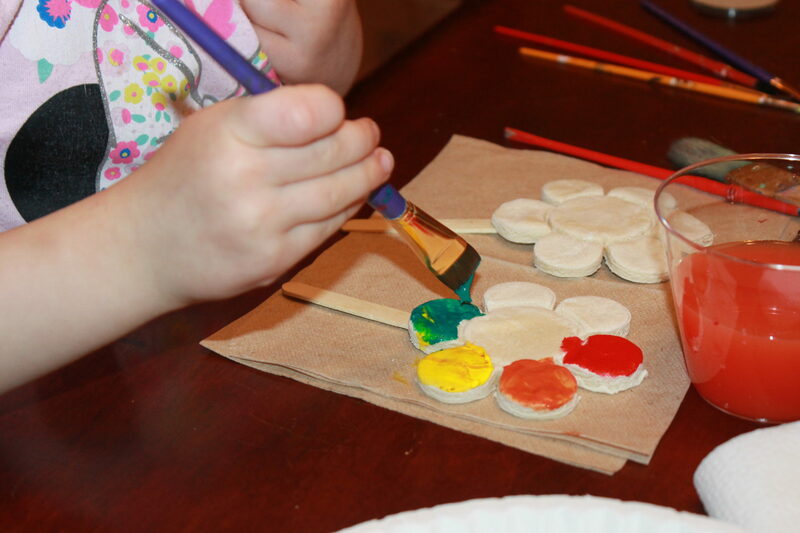 When they were done & cooled, we painted our flowers with acrylic paints. My daughter, as usual, opted for rainbow colors. We set them on a paper towel to dry. 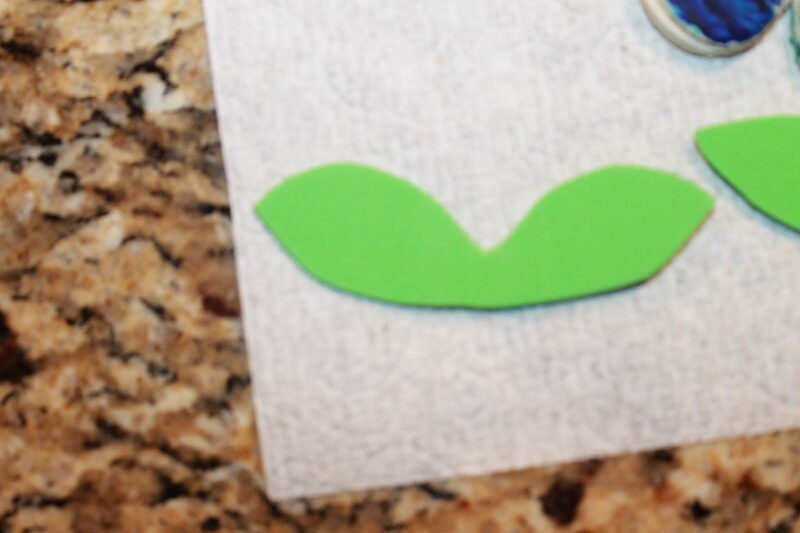 When they were dry, I cut leaves out of green foam sheets & glued them in place. 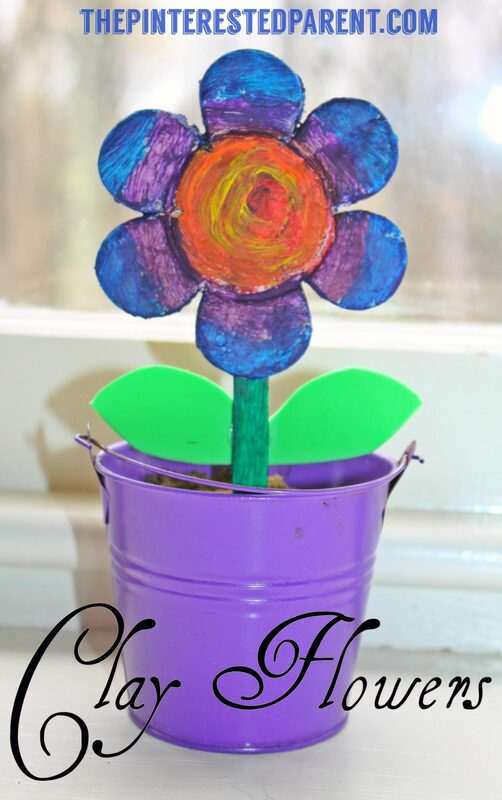 We had some cute little colored flower pails to stake them in, but a Dixie Cup would work fine as well. 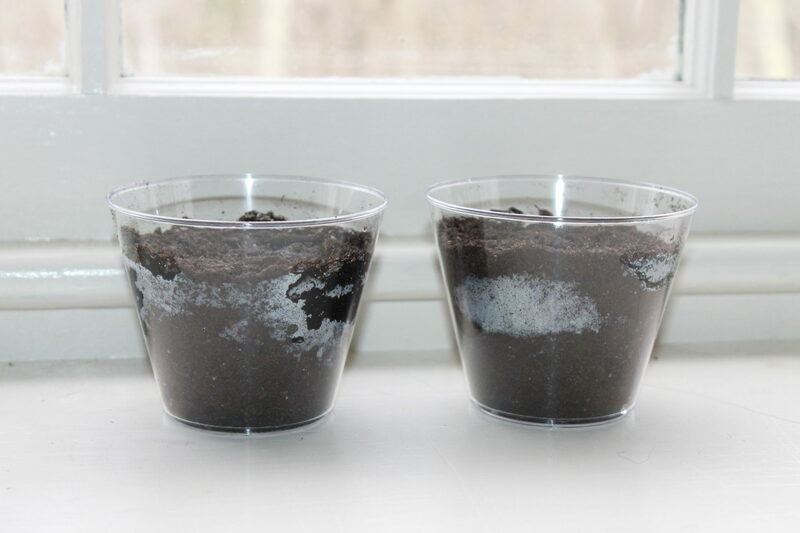 We filled the containers with packed soil & inserted the flowers in the soil. 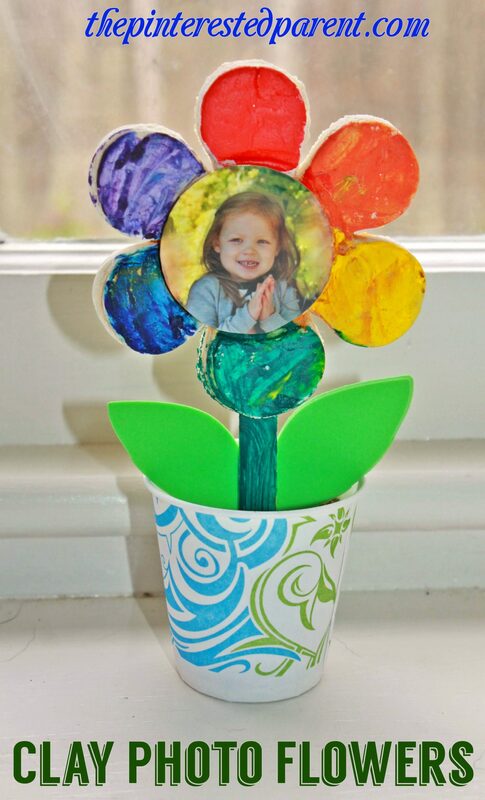 We used crazy glue to glue a photo in the center of one of the flowers that my daughter painted to make a special gift for her lucky Nana.